Steer is proud to work with many of Australia's best beef producers. We pride ourselves on sourcing the highest quality beef to provide to our guests a unique offering. Sher Wagyu is praised by Steer for its consistency and full wagyu flavour. A family owned and run farm, we work closely with Nick and Vicky Sher to produce many primal and secondary cuts that appear on the menu. 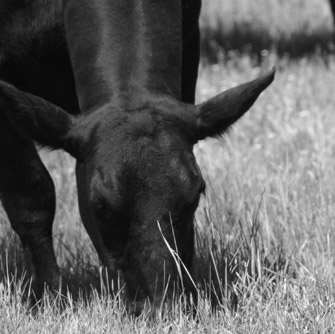 Cohuna Wagyu is a small family run farm, which operates F1 Wagyu cattle herd. They pride themselves on offering beef that is of the highest quality, taste and tenderness and is chemical, antibiotic, GMO and hormone free. Cape Grim Beef offers one of the best pasture fed beef products in the country. Located in the far northwest corner of Tasmania, the abundance of lush green pastures means there is no use of silage in the cattle's diet resulting in better quality beef. John Dee is renowned for its high quality grain fed Black Angus beef. Its modern farming uses all the latest technology and cattle care practices so the cattle enjoy a clean and stress free environment.